Announcing the 2019 Hay Drive! We need to fill our shed with wonderful hay, glorious hay! While the Ladies and Gent eat less hay during the summer months — one of the Ladies or Elmhurst will only chew through a fifth or quarter of a bale while the grass is green and plentiful — hay is crucial fodder during the winter. 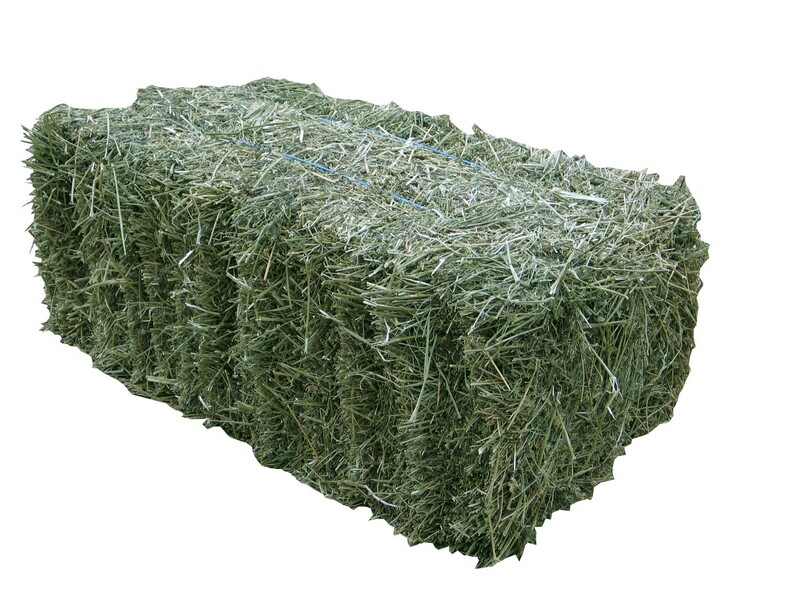 Each horse can eat up to half a bale when there is no outside forage. Right now, we can buy a bale of hay for about $6. We need 1000 bales to fill our hay shed. Each bale will feed two horses when the snow is blowing and it's cold outside. And even though the weather is hot and humid right now, we know Old Man Winter is coming. He's never missed a season in the Bluegrass yet! You can feed Elmhurst and Blue their hay for one Winter week for $42... just pick up 7 bales. If you don't think Elmhurst deserves all that hay, then Ms. Royal Flagship will gladly eat one bale in two days while the snow is flying... that's just $6. Kidnap Katie needs hay, too. Want to provide enough hay for everyone for five days? Let's pull out the calculator to figure out; it's... 35 bales for $210. You pick the number of bales and help us "make hay while the sun shines!" The Ladies and Gent will love you for it! Note: Hay bale pictured is for reference only. It does not represent the actual hay we are buying.